A follow-up to 2016’s Star Trek Beyond is in development at Paramount with S. J. Clarkson on board to direct. “Star Trek 4” will be the 4th in the series of new Star Trek movies that began with 2009’s Star Trek directed by JJ Abrams. However, the new movie may be in trouble as both Chris Pine and Chris Hemsworth have reportedly walked away after negotiations have stalled over money according to the Hollywood Reporter. Pine would have returned to the iconic role of Captain Kirk while Hemsworth would be returning to play Captain Kirk’s dad George Kirk which was announced in 2016 just after Star Trek Beyond his theaters. Chris Pine as Captain James T. Kirk from Star Trek Beyond. Chris Hemsworth as Lt. Cmdr. George Kirk from Star Trek (2009). 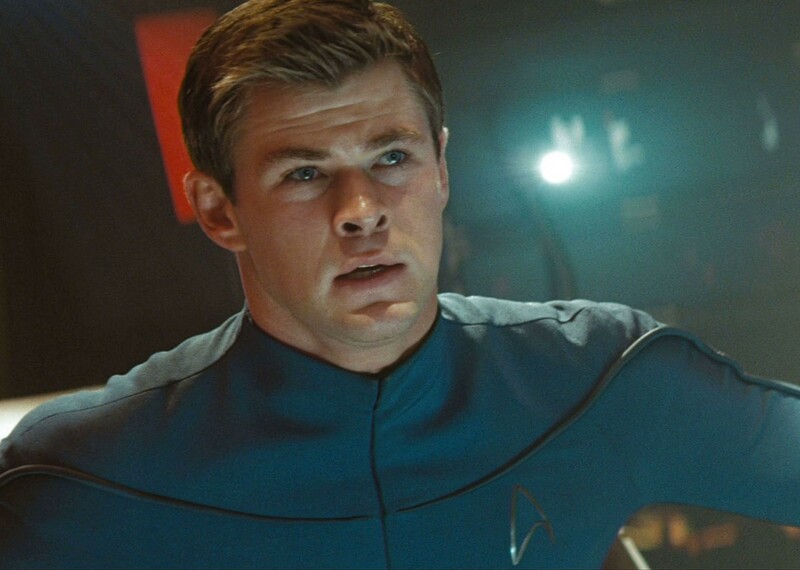 In 2009’s Star Trek movie – George Kirk was the first officer aboard the U.S.S. Kelvin as it was attacked by Nero who’s ship was thrown back in time. This resulted in the creation of the Kelvin Timeline. George Kirk died as he collided the U.S.S. Kelvin into Nero’s ship (the Narada) in order to help the crew of the Kelvin (including his wife and newborn son James T. Kirk) escape. 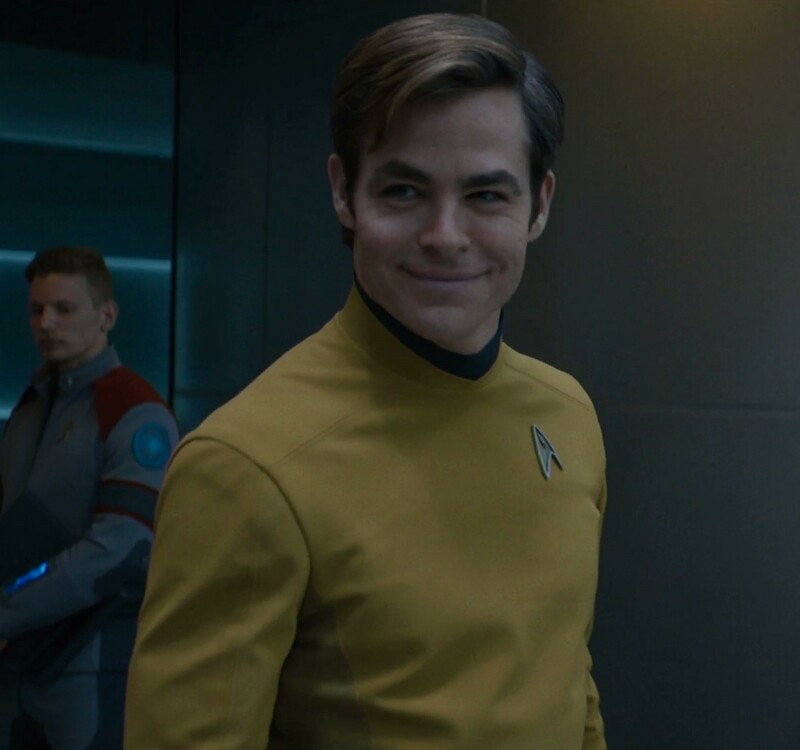 When Chris Pine signed on to play Kirk in Star Trek Beyond, he also signed on for Star Trek 4 with the deal locking in how much he would get paid for Star Trek 4. From what I gather from the Hollywood Reporter article – it seems that Paramount wants to re-negotiate that deal after Star Trek Beyond didn’t do as well as they were hoping at the box office. According to IMDB, Star Trek Into Darkness and Star Trek Beyond nearly had the same budget but Star Trek Into Darkness grossed $467 million worldwide while Star Trek Beyond grossed $343 million worldwide. I think Paramount was hoping Star Trek Beyond would do as well or better than Into Darkness. It seems Paramount’s expectations for Star Trek movies is that they will earn an estimated $400 million at the box office and that Star Trek isn’t at the same level as Marvel or Star Wars movies. As a result, they are looking to find ways to maximize their profit off these movies by (probably) lowering the budget and asking their lead actor to take a pay cut. I think this is a cheap thing for Paramount to do. If they want to make a 4th Star Trek movie, having Chris Pine as Captain Kirk is absolutely critical to the movie being even remotely successful. He’s a damn good Kirk and people recognize that. His appearances in major hit movies like Wonder Woman will also help. He’s *worth it*. In looking at things to cut from the budget, Chris’s pay (which was agreed on in a deal signed 2 years ago) should be one of the last things to try and cut. I’m assuming a deal was signed with Chris Hemsworth when they announced he was returning to play Kirk’s dad in 2016. However, he’s not critical. Paramount can adjust the story if they don’t want to pay the big bucks for Hemsworth. Or they can go with a completely different story altogether. Take the time to develop a good story with the budget you’re willing to go with. There’s no sense in rushing a new Star Trek movie. But one thing is clear to this Star Trek fan: Paramount – you don’t have a Star Trek 4 without Chris Pine.